I love rompers! I looked all summer and never found the perfect one. I love this one for the beginning of fall because of the long sleeves..so cute! Nordstrom Rack is the best for finding basics and random items you fall in love with. Great piece for Fall season! The print is to die for! Love this romper! Gorgeous print and style… looks so good on you!! 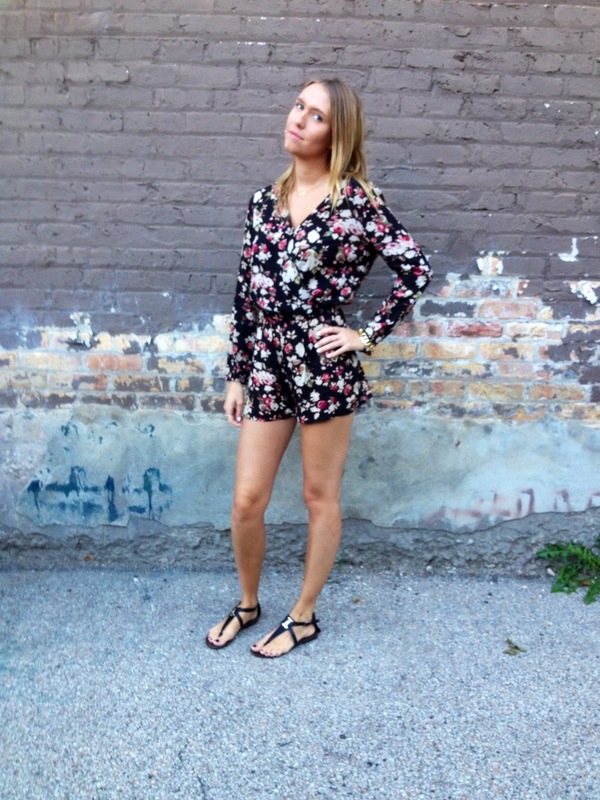 I love this floral romper! I totally love this look! The romper is amazing! what a gorgeous romper! love how the dark floral pattern & long sleeves allow you to wear it into the autumn season.